South Ossetia and Abkhazia have marked the two year anniversary of the 2008 conflict in the North Caucasus “with cautious optimism,” Russian media say. South Ossetian President Eduard Kokoity said on August 8 that the republic did everything to avoid the worst scenario of events and only called to arms on the day of Georgia’s attack. During his visit to Abkhazia, President Dmitry Medvedev “has marked Russia’s political and military presence in the region,” Kommersant daily said. “The president’s visit to Abkhazia is rather a political visit than a trip with a particular agenda,” a source in the presidential administration told Kommersant. However, the visit provoked a tough reaction from Tbilisi, the paper said. The territories of Abkhazia and South Ossetia had been recognized as occupied ones by Georgia, the country’s minister for reintegration Temur Yakobashvili said. “Such trips will change nothing and they will not bring something positive to the region,” the daily quoted him as saying. Georgia marked the 2008 events on August 7, but President Saakashvili was in Colombia on that day to attend the inauguration of the new president Juan Manuel Santos, the paper said. “Two Latin American states – Venezuela and Nicaragua – have recognized the independence of Abkhazia and South Ossetia,” Georgian political analyst David Avaliashvili told the paper. So, Saakashvili “could not miss the opportunity to speak with other Latin American leaders and persuade them not to follow the example of Hugo Chavez and Daniel Ortega,” the analyst said. From Colombia, Saakashvili promised to continue the struggle for the de-occupation of Georgia in a televised address, the paper added. 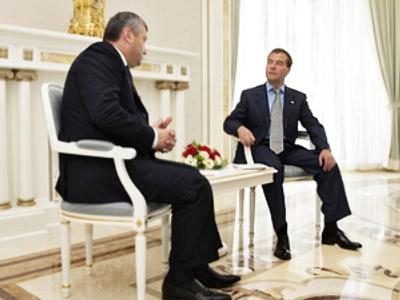 “Medvedev visited South Ossetia in July 2009, and then Tbilisi described the trip as provocative,” Vremya Novostey daily said. 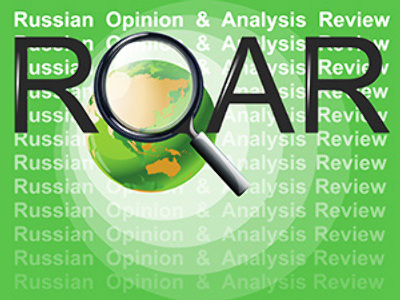 No doubt, the latest visit to Abkhazia will entail similar assessments, the paper said. “Georgia, and the most part of the international community except Russia, Venezuela, and Nauru, continues to consider Abkhazia and South Ossetia part of the Georgian state,” it noted. Medvedev said on August 5 that “almost all Western leaders have admitted in private discussions that Georgia invaded South Ossetia in August 2008 and that Russia's response to Tbilisi's attack was lawful.” For various reasons, some of them cannot announce such assessments publicly, he added. The president’s visit to Abkhazia demonstrates “a certain inversion” that has taken place in Moscow’s relations with the two republics during the two post-war years, the daily said. “In the past, some Russian officials look at the Abkhazian leadership with caution because the current Abkhazian president Bagapsh came to power in 2005 despite the Kremlin’s will, unlike the South Ossetian leader Eduard Kokoity,” it noted. “But after the war it turned out that the Abkhazian leadership is more professional and effective in fulfilling its tasks than the authorities in South Ossetia,” the paper said. The latter “constantly find themselves in the center of scandals related to corruption and embezzlement of funds allocated by Russia for the economic development,” it stressed. “However, Abkhazia’s economic potential is clearly bigger than that in South Ossetia,” the paper said. “The two-hundred kilometer coastline creates opportunities for developing tourism,” it noted. Medvedev assumed that Abkhazia’s resorts in future will be not worse than in Turkey, but less expensive than in Russia’s Sochi. “The recognition of their independence was the main goal for the two republics,” Rosbalt agency said, adding that the reality proved “less dynamic” than the citizens expected. South Ossetia has a noticeable opposition, which criticizes the authorities for failures in the economic sphere, the agency said. Many houses in the republic’s capital Tskhinval, destroyed during the Georgian aggression in 2008, have not been rebuilt, it noted. “For two years, one could have reconstructed South Ossetia and thought about creating the country’s economy,” one of the leaders of People’s Party Roland Kelekhsaev told the agency. “There is no economy, nothing has been done to create the economic model of South Ossetia,” he stressed. Many analysts think the development of relations will be profitable for both Russia and Abkhazia. “Even now that Abkhazia has not been fully restored, many Russians prefer to spend holidays in this republic,” Vladimir Zharikhin, deputy director of the Institute of the CIS countries, told Trud daily. Moscow may also use Abkhazia’s resources in the construction sphere, including construction of sports facilities in Sochi, the analyst noted. Abkhazia also needs Russian tourists, he said, and the republic is interested in Russia’s guarantees of security in case of aggression.